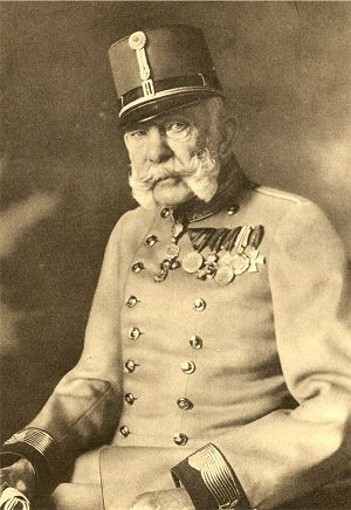 Francis Joseph I [Franz Josef I], b 18 August 1830, d 21 November 1916. (Photo: Francis Joseph I.) 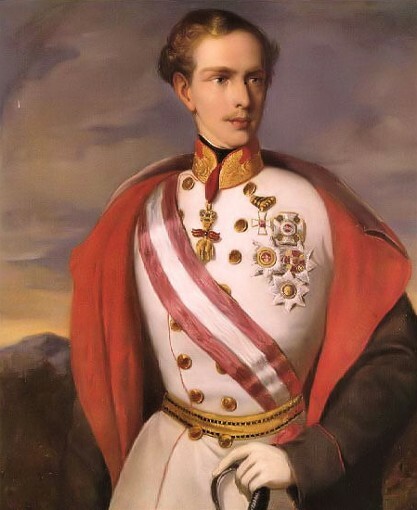 Emperor of Austria from 1848 and king of Hungary from 1867. 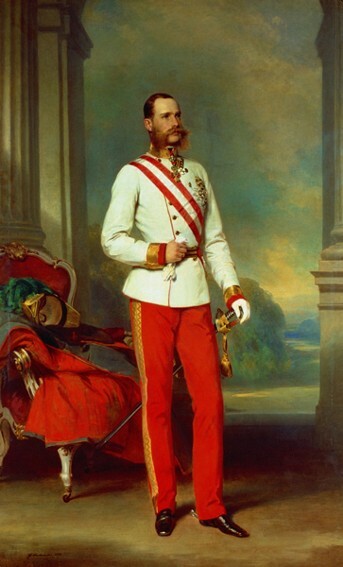 In the first years of his rule Francis Joseph was favorably disposed towards his Ukrainian subjects, who, unlike the Poles and Hungarians, were loyal to the Hapsburgs during the Revolution of 1848–9 in the Habsburg monarchy. At the end of 1848 he issued a decree establishing the chair of Ukrainian language and literature at Lviv University. On 4 March 1849 Bukovyna became a crown land. On the same day the emperor proclaimed a new constitution that strengthened his absolute rule, and on 7 March 1849 he abolished the state parliament. 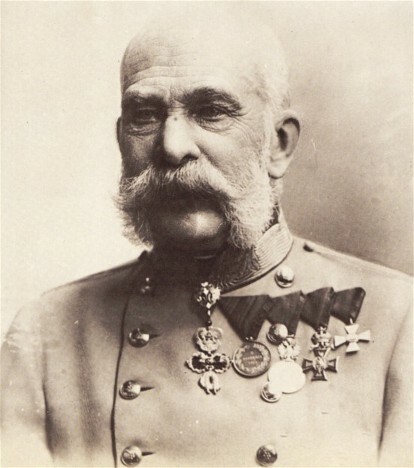 He appointed Count Agenor Gołuchowski, a Polish noble, vicegerent of Galicia and through him succeeded in getting the Supreme Ruthenian Council to abolish itself. On 29 September 1850 the ‘Kingdom of Galicia and Lodomeria’ was given a provincial charter, which made the incorporation of eastern Galicia into a Ruthenian crown land more difficult to achieve. Although the Ukrainians of Galicia received the government's approval to divide Galicia into Ukrainian and Polish administrative areas (1854, 1863, 1866), the emperor was swayed each time by the Polish majority in the Galician Diet, which opposed partition. On 31 December 1851 the emperor withdrew the promise of a constitution made in 1849, and a 10-year period of reaction began, which hampered the development of Ukrainian political and national life in Galicia. On 20 October 1860 Francis Joseph approved a new constitution based on the estates principle. 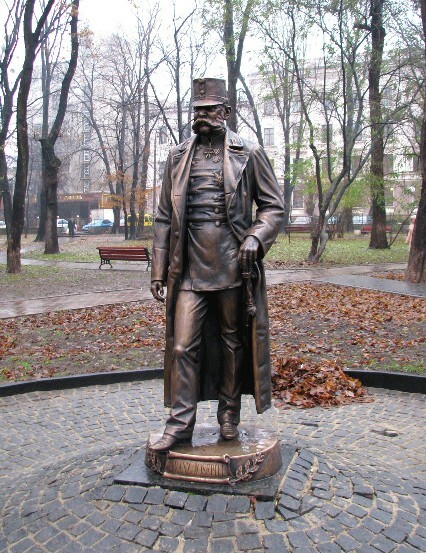 On 26 February 1861 he approved the curial system of election to the provincial diets, which gave the Ukrainians minority representation in the Galician Diet. In 1866, after losing the war against Italy and Prussia, the emperor came to an understanding with the Polish nobility: for its loyalty he gave it control of Galicia—the provincial administration, courts, education. As a result Polish became the official language of government, and Lviv University was Polonized. At the beginning of the 20th century the threat of war with Russia persuaded the emperor to seek reconciliation between the Poles and the Ukrainians in Galicia. His efforts led to the signing of an agreement by parliamentary delegations representing the two camps on 24 January 1914. The outbreak of the First World War, however, prevented the implementation of the agreement.